If Cabernet Sauvignon is the their favorite wine then they will be thrilled to open this unique Gourmet Wine Gift Basket. 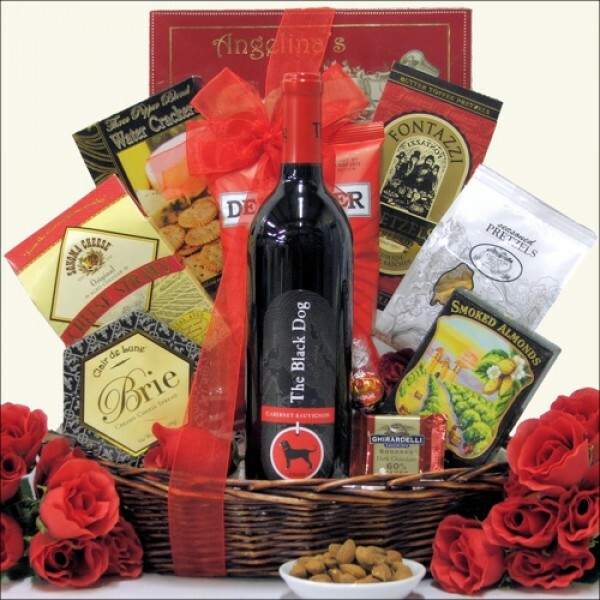 Featuring Black Dog Cabernet Sauvignon and a delicious assortment of premium chocolate from Ghirardelli and Lindt plus gourmet crackers, cookies and snacks. They are going to love receiving this original gift for any occasion. ...in Oval Dark Stained Gift Basket with Wooden Handles.